It would be hard for anyone to argue against the benefits of training with power. Power meters have become an essential training tool for cyclists of all levels and are widely considered the single, most effective tool you can use for improving performance. However, the reason they are not used by everyone is easy enough to understand. They can be expensive – plain and simple. But, there’s good news here. Power meter prices have come down significantly in the last few years and the trend continues. There are currently a host of quality power meters available for around $800 and below. But the cheapest cycling power meter…that will only cost you $199. Oh, and it’s a pretty good one too. It wasn’t long ago that you might have to spend several thousand dollars to get a quality power meter. You can still spend this much if you are looking for a top-notch offering from SRM. However in the last few years, the power meter market has seen rapid growth. This growth has largely been due to the increased awareness of the numerous benefits power meters provide. 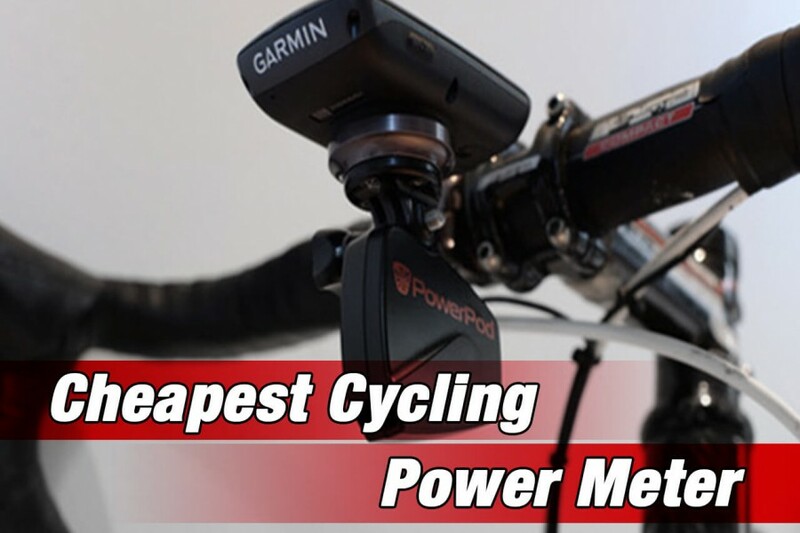 More power meters mean more choices and cheaper prices. This is a great thing for consumers. You no longer have to break the bank to put a quality power meter on your bike. And if you are looking for the cheapest cycling power meter of all, we introduce you to the Velocomp PowerPod Lite. At only $199, the PowerPod Lite is not only an affordable power meter, but is remarkably accurate, convenient and easy to use. How do they do it – opposing force technology is how. Traditional or direct force power meters (also known as DFPMs) measure torque using what is called a strain gauge. A strain gauge is a small, electronic device. Its electrical resistance varies depending on how much force (or torque) is put on them. In the case of a crank arm-based power meter for example, the strain gauge measures how much the crank arm flexes when you push down on the pedals. The strain gauge converts this flex into a power number, measured in watts. Opposing force power meters (also known as OFPMs) however take a completely different approach to measuring power. OFPMs don’t measure power through the drivetrain like a DFPM. 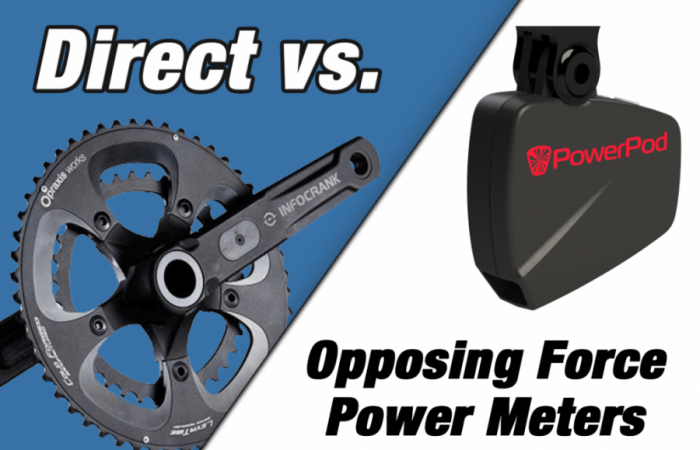 Rather, an opposing force power meter measures power by calculating the forces that oppose the rider. So in the case of cycling, the opposing forces are namely wind, gradient, acceleration and friction. 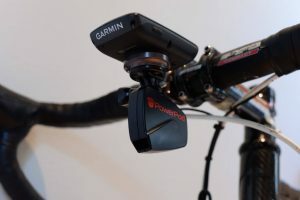 The Velocomp PowerPod uses accelerometers, dynamic wind pressure sensors, elevation sensors and speed sensors to measure a rider’s total opposing force. If that sounds complicated…it’s because it is. We’re glad we didn’t have to do the engineering. But after over a decade in development, Velocomp has got it figured out and the science highly refined. Total opposing force is multiplied by bike speed in order to calculate power. This is another important distinction. With the PowerPod, you must attach a separate speed sensor to your bike. 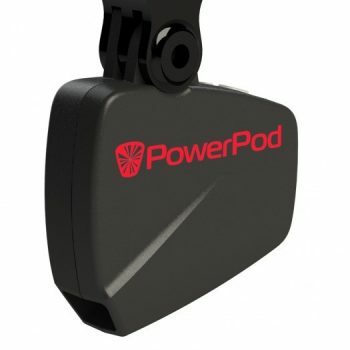 We have found that many cyclists already have one, but if you don’t, you can pick up the PowerPod ANT+ Speed Sensor for only $29.99. In addition, the benefits to the PowerPod are numerous. Compared to a more traditional power meter, there are no bike compatibility issues, it works on both road bikes and mountain bikes, it’s lightweight and you don’t have to change out any of your prized components. However perhaps best of all, at $199, it’s the cheapest cycling power meter on the market. When set up properly and calibrated (more on this in a second), the PowerPod’s accuracy is on par with the more expensive, traditional type power meters. In some testing done against an SRM power meter, the PowerPod was accurate to within 3% of the SRM. This is not too bad considering the PowerPod is a very affordable power meter, costing only a fraction of what an SRM power meter does. On one hand, the PowerPod is remarkably easy to install when compared to a direct force power meter. The PowerPod simply mounts to your handlebars. You don’t need to fuss with changing pedals, your crankset or any other bike component. However you do need to give it some love and attention when you first set it up. Unlike other power meters, the PowerPod requires an initial (one-time) 5 minute calibration ride. In addition, we recommend you spend a few minutes playing with its software – through which you can fine-tune the power meter’s precision. The PowerPod comes with its free Isaac software*. Isaac allows you to do in depth ride analysis in order to get the most out of your training. You can model aerodynamic drag (CdA), rolling resistance and lots more. 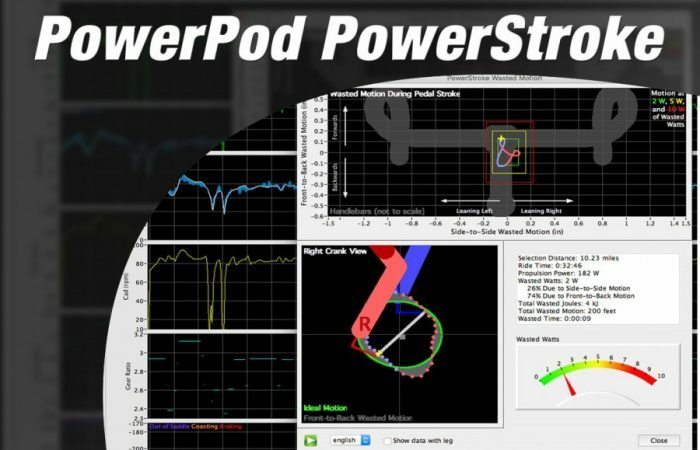 Furthermore, PowerPod offers PowerStroke, an upgraded software package for $99. PowerStroke allows you to analyze your entire pedal stroke in great detail. With this data, you can experiment with changes to your pedal motion, bike position and bike fit in order to improve your riding efficiency – and therefore your power and speed. 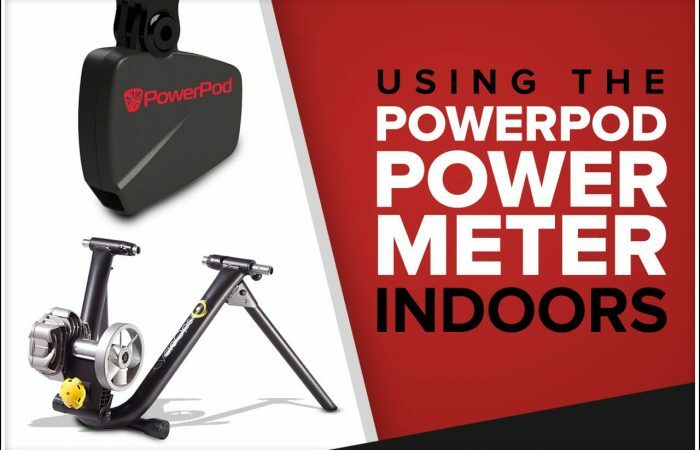 If you’re on a budget or are simply looking for an affordable power meter, the PowerPod Lite might be the perfect option for you. It’s without a doubt the cheapest cycling power meter available. * The PowerPod comes in a few different versions. The PowerPod Lite for $199 does not feature Isaac software. Isaac comes with the PowerPod original at $299. All of the other features discussed in this article do come on the PowerPod Lite.